Let me provide the soundtrack for one of the most meaningful days of your life. I am privileged to say that I have performed at hundreds of weddings over my 35 year career as a musician and dj. 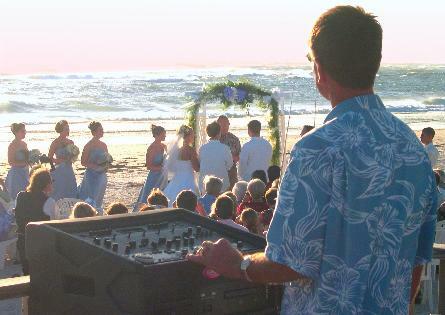 Although I specialize in tropical weddings and receptions, I do offer an extensive range of music that will suit most styles and tastes. From providing background music for the arrival of your guests to dance music for the reception, I will work with you every step of the way to make your wedding day a memory you will cherish forever! My wife, Dara, is a professional wedding photographer. Her website is www.IslandPhotography.org. 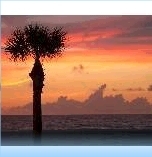 She specializes in beach weddings, and beach portraits. The benefit of hiring us together is that we work for you as a team coordinating the music & photography, so that you have less worries, and can enjoy your day! Photo Gallery - just click on the photo for a larger image!